Originally published in 1945, this title was a follow-up to the author’s previous book The Human Hand. 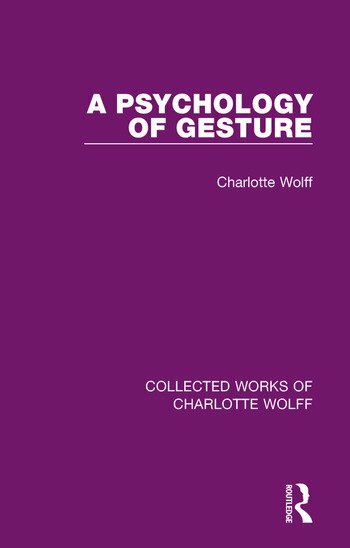 This time she looks at the psychology of gesture and its relation to personality. The special place that a psychology of gesture merits is obvious. It permits a direct knowledge of personality without any effort or misleading co-operation on the part of the subject, since it can be applied without his being aware of the fact. The book ‘is constructed on a system of clinical studies and medico-psychological interpretations.’ The author felt that this title must be regarded as a complementary study to her main studies.